6.3 Purpose of Assessments. The association shall apply all funds and property received by it, … for the common good and benefit of SunBird and the members of the association …referred to herein as “Common Expenses.” Common Expenses include, without limitation, expenses for the acquisition, construction, alteration, maintenance, provision and operation, by any manner or method whatsoever, of any and all land, properties, improvements, recreational facilities (except for the golf course), services, projects and security programs, studies and systems, with or without SunBird, which may be necessary, desirable or beneficial to the general common interests of SunBird and the members of the Association. Solving the flooding condition that existed on Augusta by working together with the City of Chandler. The new sign just past the entrance on Championship which directs traffic to the Pro Shop and the clubhouse was jointly funded. While the golf club draws from 250 homes to pay their half, the HOA draws funds from 1630 homes to pay their half. When the cart path lighting in Unit Six failed, cooperation with the golf club was necessary to restore it. Most of the parking lot at Waterview and Sawgrass is owned by the golf club. The golf club supports HOA events such as the Monday Market, Go Green Shredding and the antique car show on its property. 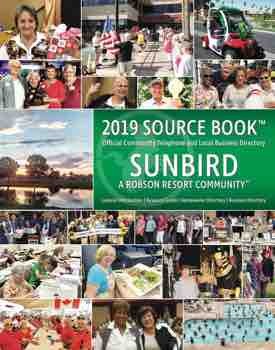 In the past few years when homes were not selling in SunBird, the HOA joined with the golf club to pay for marketing materials and a booth at the Mesa Market which resulted in a steady increase in home sales here. 1. There are many ways in which the two corporations support each other. The clause in the document that says “except for the golf course” discourages this kind of cooperation and does not support our current practice. 2. Some homeowners do not wish to have any HOA fees directed to joint projects with the golf club. Therefore, all funding will come from the Capital Improvement Fund to which only new residents to SunBird contribute. 3. The HOA board must ensure that any joint project will benefit the association and the homeowners and is under no obligation to contribute any funds to joint projects. 6.3 Purpose of Assessments. The association shall apply all funds and property received by it, …, improvements, recreational facilities, services, projects and security programs, studies and systems, with or without SunBird, which may be necessary, desirable or beneficial to the general common interests of SunBird and the members of the association. Any funds relating to any portion of the golf course shall only be used where it will benefit the association and the owners. Funds will be received from the owner of the golf course and from the Capital Improvement Fund. The HOA board is under no obligation to use any funds for these purposes as per Section 9.2. 1. Current board policy and practice will be now be stated in the CC&Rs. 2. The HOA should continue to work with the golf board on projects which are for the common good and benefit of the SunBird homeowners. 3. Joint projects do not include golf club operations and maintenance. 4. Projects shall only be funded by monies from the Capital Improvement Fee assessed to new homeowners in SunBird. No projects would be financed from fees paid by current owners. 1. The HOA should not work with the golf board on joint projects. 2. Expenses for projects which are for the benefit of the homeowners should be entirely funded by the HOA. The golf club rents the Pro Shop facility in the SunBird Golf Resort clubhouse from the HOA at a rate determined through open negotiations between the two boards. Additionally, the golf club pays for the use of electricity for the golf carts. 9.4 Golf Pro Shop. SBGC shall own the Golf Pro Shop contents located within the clubhouse. SBGC shall be responsible for the inventory and all other costs and expenses associated with the operation of the Golf Pro Shop, and shall likewise be entitled to retain all the proceeds, revenue and income from the operations. SBGC and the association shall enter into long-term agreement for the lease of the Golf Pro Shop and the rental rate shall be commensurate with rents paid in the City of Chandler. The association shall at all times grant SBGC (or designee), its employees, guests, agents, representatives and customers access through the premises and into the Golf Pro Shop. The HOA board and the SBGC board no longer use this method to determine rental rates as rates in the City of Chandler are highly diverse and constantly change through negotiation between individual businesses, depending on location etc. 1. The CC&Rs will reflect current practice and policy whereby the HOA and golf boards prefer to meet and cooperatively determine rental rates most appropriate for our community. 1. The CC&Rs should not reflect current policy and practice. View this amendment on pages 12 and 17 of the Amended, Restated and Consolidated Declaration of Restrictions for SunBird Golf Resort Homeowners Association, Inc. on the website at www.SunBirdhoa.com.